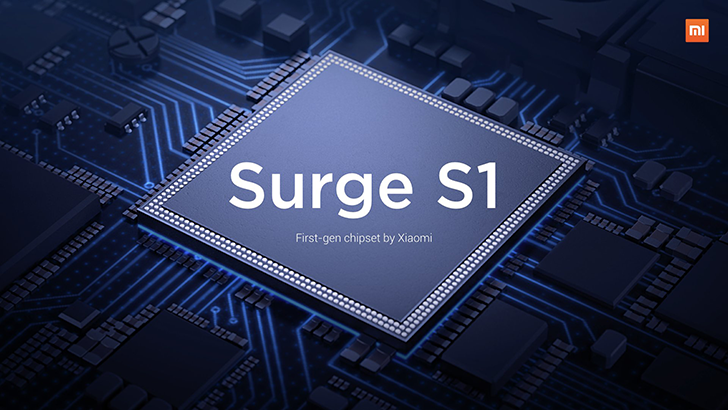 The Surge S1's processor is octa-core and 64-bit, with a 2.2GHz max frequency. Those eight cores include four 2.2GHz A53 cores for when high performance is needed, and another four 1.4GHz A53 cores for average use. The GPU is the familiar Mali-T860, which Xiaomi points out is 40% more power efficient than the previous-gen Mali-T760. Some of the S1's other abilities include dual microphone voice reduction, HD calling (VoLTE), 14-bit dual ISP for enhanced image processing capabilities, and a baseband that can be updated through OTAs. 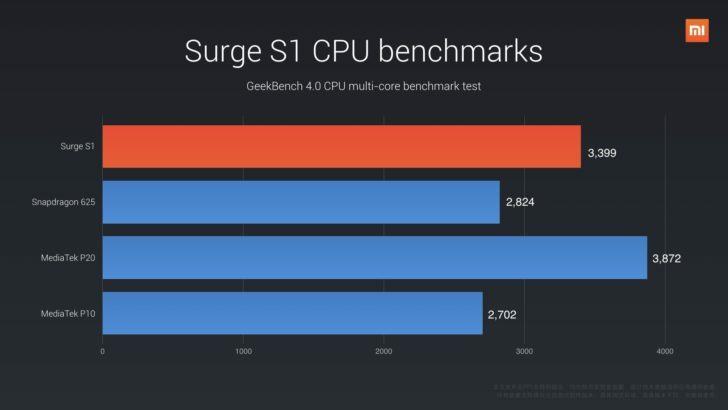 You might be wondering where performance lies relative to MediaTek and Qualcomm chips. According to Xiaomi's benchmarks, it's a good deal faster than the Snapdragon 625 and MediaTek P10, but behind the MediaTek P20. Xiaomi moving to its own custom chipset means a few things for consumers. It could mean longer update support, since Xiaomi would also be responsible for updating the SoC drivers. But this could also cut off custom ROM development, unless they are diligent about releasing the drivers.